Chili Burn: Can Green Tea and Chili Pepper Burn Fat? Diet products are common in most pharmacies. Consumer demand is one factor, with obesity proliferating to the point where the majority of Canadian adults are now overweight or obese. Compounded with the reality that there are no easy solutions when it comes to weight loss, the weight loss industry is working overtime developing new products. Some healthy skepticism is called for, on the part of both consumers and pharmacists. Given the prevalence and accessibility of pharmacies, pharmacists are well positioned to play an important role in helping the overweight and obese. The product increases the amount of calories your body uses in a day, without any needed dietary changes or added exercises. As your body burns and wastes more calories, you steadily but surely, lose weight. It’s the green tea, right? In observational trials, it’s difficult to separate out the effects of drinking tea from other lifestyle behaviours that might also lead to lower weight. So the gold standard to isolate out the effects is a clinical trial – preferably randomized and double-blind, to reduce biases. Interpreting the different green tea trials is complicated by not controlling for cachetins, small study size, and the variety of endpoints (what they measured). A systematic review asks a specific question, collects all the relevant evidence, picks the highest quality trials, and summarizes the data. It’s a tool and process that avoids cherry-picking data, and and summarizes what best evidence says. Conveniently, one was just published. Phung et al, recently published “Effect of green tea catechins with or without caffeine on anthromopometric measures: a systematic review and meta-analysis.” (Since green tea naturally contains caffeine, and caffeine is also believed to have some effects on weight, it’s thought the combination of green tea plus additional caffeine may have additional effects.) In this paper, the authors searched the medical literature for all trials that studied green tea (with or without caffeine), were randomized, and measured at least one of: body mass index (BMI), body weight, waist circumference, or waist-to-hip ratio. Out of 341 studies originally identified, most (215) didn’t measure catechins, some (58) were not randomized and a few (22) didn’t study humans. After excluding an additional 26 that didn’t measure relevant outcomes, 15 were judged to be of sufficient quality, and included. The median duration of the trials was 12 weeks. Green tea plus caffeine reduced BMI slightly (0.55), body weight (-1.38kg) and waist circumference (-1.93cm), when compared to caffeine alone. All were statistically significantly, but hardly relevant. Green tea plus caffeine also reduced body weight (-0.44kg) compared to green tea without additional caffeine. Green tea without additional caffeine showed no benefit. The bottom line with respect to the ingredients in Chili Burn is there’s no persuasive published evidence to demonstrate that they will have any meaningful effects on weight, either alone or in combination. Chili Burn is a 100% natural fat burner, made from safe plants and extracts. The product has been developed based on recent obesity studies that clearly show which natural ingredients burn fat most effectively. There’s no published evidence to suggest that this combination of ingredients can “burn” fat. The second statement is puzzling: “most effectively” compared to what? Based on the published evidence, and even the references cited on New Nordic’s web site, there is no persuasive evidence to suggest the ingredients have any meaningful effects. However, the wording is sufficiently vague that it could be legitimately true, as no claim is made that Chili Burn actually contains the “most effective” natural products. Chili Burn will increase your body’s calorie expenditure, so calories consumed are used for heat production or for energy, instead of being stored as fat.There is no published medical evidence to suggest this is the mechanism of action. It appears the manufacturer is trying to imply the product will independently change the heat production in your body. Why is Chili used? Chili peppers have a natural ability to burn fat, since they use up calories to produce heat. No evidence was found to support this claim. Chili peppers contain capsaicinoids which, when consumed, bind to pain receptors and give the sensation of heat. That is, they do not produce heat. They give the sensation of heat. No published evidence was identified to suggest chili pepers “burn fat”. Besides, the tablets contain only 12 mg of chili pepper, almost a trace amount. How much weight can I expect to lose with Chili Burn? Clinical studies have shown that when subjects take between 170 – 300 mg of EGCG (Chili Burn contains 145 mg per tablet), the reduction in body fat over a 12-week period will be between 7-10%. No persuasive published evidence was identified to support this claim with green tea, with or without chili pepper. As the Phung systematic review noted, green tea alone (without additional caffeine, as is the case with Chili Burn) was not associated with any benefit, on any measure of weight loss. Is it a case of buyer beware with Chili Burn? Green tea is a common product targeted to consumers, usually with claims that it produces weight loss. A quick skim of the Federal Trade Commission’s website on green tea illustrates how companies continue to be prosecuted for making inappropriate efficacy claims. Importantly, Chili Burn, at the time of writing, has NOT been approved by Canada’s Natural Health Products Directorate (check here). This means a formal evaluation of its safety and efficacy has not been completed. This also means that based on the recent guidance issued to pharmacies by Canada’s pharmacy regulators, Chili Burn should not be sold in Canadian pharmacies. If you like drinking green tea, and want to lose weight, great. Green tea is probably a much better substitute for calorie-laden beverages. Based on the published evidence, however, there isn’t any compelling data to suggest green tea supplements, like Chili Burn, will have any independent effects on any obesity measure. Obesity is the second-most preventable cause of death in the world. Pharmacists are ideally positioned to play meaningful roles in assessing overweight and obese patients, referring when appropriate, providing science-based information, and supporting patients that take action. Supplement manufacturers, exploiting the low standards for safety and efficacy for natural health products and supplements, have created a weight loss mirage that seems to be gaining prominence on pharmacy shelves. 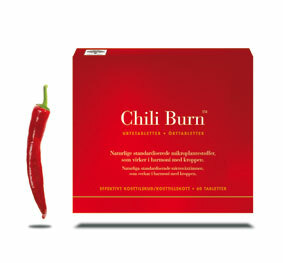 There is no published evidence that examines the specific combination of ingredients in New Nordic Chili Burn. Looking at the individual ingredients, there is no persuasive scientific evidence to suggest that any component will cause any meaningful weight loss. In fact, there’s no evidence to suggest any supplement will cause weight loss without dietary changes and/or exercise. Fundamentally, weight loss can only result from long-term changes to caloric balance. The biggest barrier for many is not the initial weight loss – the challenge maintaining that weight loss on a long-term basis. There is no cure for obesity. Permanent weight loss requires permanent lifestyle changes. There are no quick fixes found in bottles on pharmacy shelves. These products are an oasis that distract from the science-based reality of obesity management. Weighty Matters: The blog’s author, Dr. Yoni Freedhoff was recently interview by Jonathan Abrams on the Ottawa Skeptic’s podcast, The Reality Check. Recommended. Dr. Sharma’s Obesity Notes: Dr. Arya Sharma is the Scientific Director of the Canadian Obesity Network, which links researchers, health professionals, and others interested in obesity management. Peter Janiszewski of the excellent blog Obesity Panacea, was recently interviewed on Skeptically Speaking. Pharmacies are discussed. Natural Medicines Comprehensive Database [Internet Database]. Stockton, CA. Therapeutic Research Facility. (Updated periodically). Accessed 2009-04-05. Another great article! You are doing a tremendous public service, here. To sell a product for which no supporting evidence exists is, I think, pretty clearly unethical. It’s plausible that the makers might simply be unaware, I suppose. But when you’re selling things for people to consume and making health-related claims, you have an obligation to be diligent in gathering the facts and in being honest with your customers. If chili burn has not been stated or have no supportig evidence of its claim as burner fat specially belly fat. How come it is readily available in pharmacy like Jean coutu, Shoppers Drug Mart etc. It must have been approved by Health Canada. Anyway I bought the product and will start using it tomorrow efor 4 weeks as suggested by the manufacture. will report as soon as treament is finish. Hi. Just discovered this site via the old obesity panacea site. Have booked marked both for further reading. I agree with Chris. You are providing a great public service. I’d be interested in seeing that data. Can you list the citations? I’m interested in seeing the data as well Linda. I am unable to find any hard facts on this topic as it is let alone evidence for chilli pepper weight loss. I think I will do a trial on myself with green tea over the next 14 days. My initial test on myself showed a 15% weight loss increase when I kept my carbs under 100g as apposed to just keeping calories < 2000kcal per day. Lets see what green tea can do compared to the carb & calories test (for me at least). Researchers have found that the heat generated by peppers can actually increase your consumption of calories and “oxidise” layers of fat. The heat of pepper evolved to put animals off eating them, but humans have come to like them and they have been a staple of many diets around the world for thousands of years. Scientists – intrigued by the ability of the fruit to make you sweat – now believe they can help as part of a diet. There are plants that make a non-burning version of capsaicin called dihydrocapsiate (DCT) that could have the benefits of peppers without the pungency, it has been discovered. Researchers at the University of California recruited 34 men and women who were willing to consume a very low-calorie liquid meal replacement product for 28 days. The researchers, led by Dr David Heber, then randomly chose the subjects to take either placebo pills or supplements containing the non-burning DCT pepper. Their data provided convincing evidence that, at least for several hours after the test meal was consumed, energy expenditure was significantly increased in the group consuming the highest amount of DCT. In fact, it was almost double that of the placebo group. They were also able to show that DCT significantly increased fat oxidation, pushing the body to use more fat as fuel. This may help people lose weight when they consume a low-calorie diet by increasing metabolism. Dr Heber and his research team will present their results at the Experimental Biology annual conference. Maybe you should do a proper study before makings these claims about chilli. I eat chilli 2 times a day and gaurantee you that they make me sweat !! I do not know the product (or care ) that you discussed only want to make the point about Chillie. By publising incorrect info you are doing the same as this manudacturer !! The question at issue is whether eating chili peppers contribute in a meaningful way to weight loss. There is no evidence that they do. I bought Chili burn and tried one tablet. I didn’t think that there was extra caffine in the product. Not long after I took the pill, my head felt out of sorts and later that evening I had 2 diet cokes and could not sleep. I will try the pills again and pay closer attention. Does anyone know if a 20 year girl like me can use it? Is it for obesity only?I need to lose 10 pounds and build muscle. What if I take a capsule once every 3 days, which is really not much compared to what is suggested to obese people?